The history of Ambulancias Civera, S.L. dates back to the year 1980, when Felipe Civera started out on his own with an ambulance. Since then, and with the passage of time, the company has grown exponentially to become one of the leading businesses in ambulance transport in Spain. Ambulancias Civera, S.L. has been offering ambulance transport as a company since 1991, although it previously served the Llíria area (Valencia) in ambulance transport for the Valencian Health Service for several years from 1985, in addition to the Massamagrell zone (Valencia). 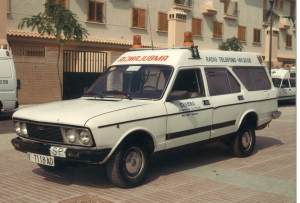 In 1991, and with the awarding of the Valencian Health Service’s public tender, the company began to offer ambulance transport in zone 12, which is today’s department number 5. In January of the following year, 1992, the company began offering special emergency services in Valencia. Following this, from 1994 to the month of June in 2006, Ambulancias Civera, S.L. provided the Valencian Health Service with its services in area number 3, corresponding to Segunto Hospital (Valencia), following the awarding of a public tender. 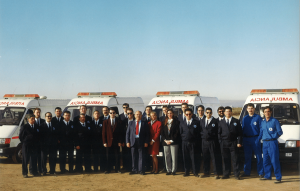 An important milestone for the company was attending to the SAMU special emergency service in health area number 3 from 1998 to June 2005. With the arrival of the new millennium, Ambulancias Civera, S.L. provided an emergency ambulance transport service from March 2003 to June 2005 within health area number 4, Alboria, via a Basic Life Support (BLS) ambulance made available to the Emergency Coordination and Information Centre (CICU) for 12 hours a day, 365 days a year. In July 2004, this service was expanded with another BLS ambulance in the area of Massamagrell (Valencia), with a continuous 24-hour service. In parallel to ambulance transport activity in the public sector, our company has also developed work in the private sector, providing our services to leading insurance companies, care organisations, mutual insurance companies, local governments, provincial councils, businesses and more. In 2006 Ambulancias Civera, S.L. focused on the private sector, heading up turnover in this activity within the Province of Valencia. At the end of the 90s, Ambulancias Civera, S.L. created SUMAC, the Medical Emergency Service, with the aim of offering coverage to emergency medical assistance via its extensive workforce of qualified professionals (doctors, nurses, emergency medical technicians, etc.) as well as its large fleet of ambulances. Consequently, Ambulancias Civera, S.L. was the first company in the Valencian Community to offer this service privately. However, and as a result of market needs, the company’s activity is also focused on providing coverage in preventive services or reserves, offering a presence in events of global sporting interest, such as the Athletics Championships held in Valencia in 2008, and the Formula 1 events held in 2008 and 2009. Ambulancias Civera, S.L. has also collaborated with entities such as Valencia Port: for over a year from March 2005 it provided a permanent health care service via a mobile ICU ambulance 24 hours a day. Unión Fenosa, AENA, Mercadona, El Corte Inglés... These are just some of the many companies that have placed their trust and safety in the company’s hands. Ambulancias Civera, S.L.’s latest achievements are based on the company’s expansion plan. In 2013, it consolidated its services in ambulance transport and home medical care in the Province of Valencia. In 2014, following the awarding of a tender, it began offering its service in the Province of Tarragona, followed by Lleida in 2017. Since January 2018, the company has been offering coverage in the Province of Almeria, having won another tender for another mutual insurance company. This is the fifth province in Spain in which Ambulancias Civera, S.L. is present. Many challenges lie ahead and we hope to have your support when facing these. 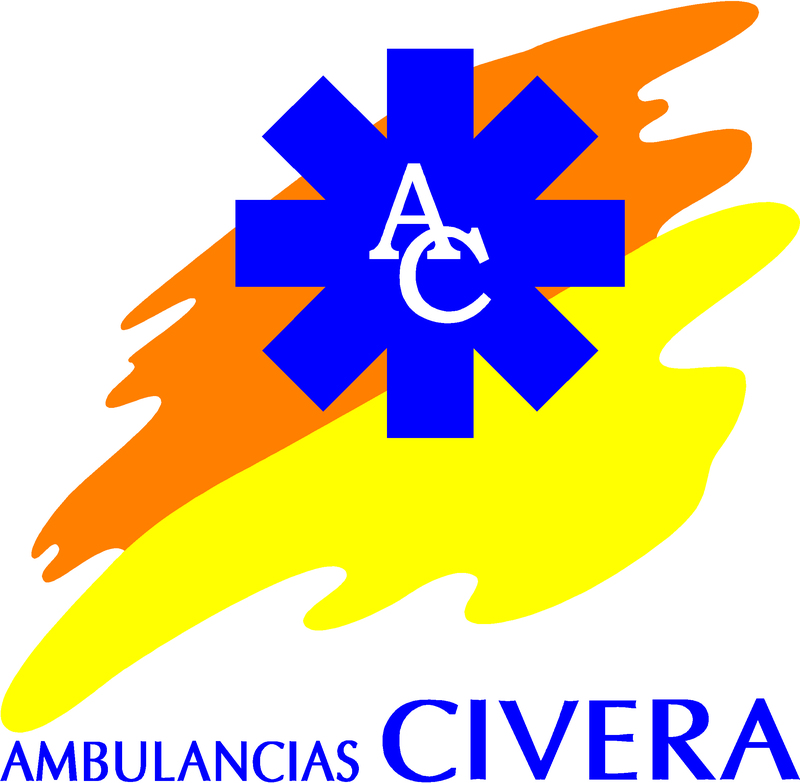 Find out more about our company, Ambulancias Civera, S.L. by downloading our corporate dossier. In this document you can learn about how we work with the country’s leading businesses. We invite you to read this dossier and contact us if you have any questions or comments. We would be delighted to assist you.